When was the last time you used the garage door to enter your house, yesterday? Most people use garage doors and openers as an alternate entry to their homes or offices. Just like your regular home or office doors go through wear and tear over a period of time. While being hit by weather the doors also start losing their functionality and efficiency. Garage door services are thus essential. They mainly comprise of regular maintenance and quality checks. Our garage door experts at Trust Garage Door offer all of this, plus more. Since a decade, Trust Garage Door has been the leading name for garage door installations, repairs, and servicing garage doors in Nashville, TN area. We service residential clients, business, corporates and even small and medium offices. Our timely service in response to panic calls from clients, exemplary services by our garage door experts and quick resolutions have made us a renowned name in the garage door industry. 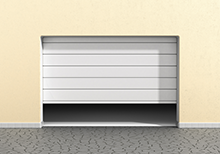 Trust Garage Door is now a reliable and well-established garage doors service in Nashville, TN area. We are extremely proud of our professional team. It is their strength and their skills that have welcomed success. Their consistent efforts, their responsibility to deal with our client’s problems as theirs and their skills and expertise have escalated us as a dependable garage door company. Our team consists of the finest technicians with superior skills, intensive experience and know-how about different types of garage doors, their maintenance, their upkeep, and in-depth mechanics. Our team received extensive training, on-field and otherwise. We understand that technology keeps evolving and our technicians need to cope up with the changes. For easy adaptability of knowledge and its seamless transfer we offer constant training modules to them about basics liked residential garage doors and commercial garage doors. Sometimes our clients tell us about how they are tempted to fix their own garage doors at no cost but it only causes more harm to the door and your safety. 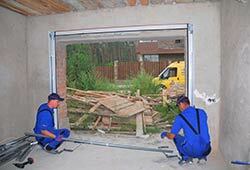 Starting from basic garage door installations to even fixing loose torsion springs, extensive skill is required. Choose our professional team for best garage door service, anytime and anywhere in Nashville, TN area. Trust Garage Door offers unmatched garage door services with the help of our finest men, prime quality raw materials like modern door openers, cutting-edge tools, top quality springs and more. Every time you call Trust Garage Door you can be assured of nothing but the best and most professional service. Most often clients fear a high price for our services. But, that is absolutely untrue. Affordable pricing is our key strategy. 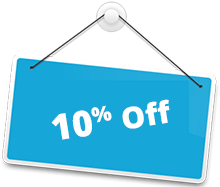 While our garage door services are exemplary we charge attractive and affordable rates for them. We are known throughout as an affordable garage door company. A broken spring can cause much harm. Poorly fitted and ill-maintained doors and opener systems can cause injury to people and property as well. People do not realize that we use garage doors all the time which requires replacement at regular intervals. In Nashville, TN, Trust Garage Door should be your one-stop-shop for all garage door issues, starting from garage door installations, garage door replacements or even weather stripping for garage doors. 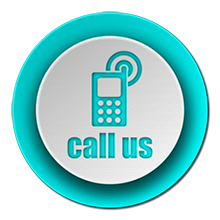 We offer all these simple and complicated services, all the year, 24/7. If you see your garage doors wearing out, rattling, and being unresponsive to commands, then just call us is for the best garage door services. We Provide Garage Door Hardware Repair in the following zip codes.